Easter Sunday Camp Drag Show for Charity! Winner of the 2019 Easter Drag Race gets to perform with the group. Special Guest Appearances from former Armorettes and friends of the group! The Armorettes are the infamous camp drag queens of the south who do everything for charity! They focus on people with HIV/AIDS and partnering with local places to help support this amazing need in Atlanta and beyond! Easter Sunday Camp Drag Show for Charity! Winner of the 2019 Easter Drag Race gets to perform with the group. Special Guest Appearances from former Armorettes and friends of the group! 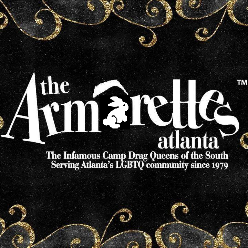 No Cover Event The Armorettes are the infamous camp drag queens of the south who do everything for charity! They focus on people with HIV/AIDS and partnering with local places to help support this amazing need in Atlanta and beyond!